is fully a 3D model. 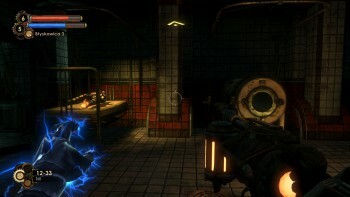 The main task of a prop is to inform a player (similarly to GUI). 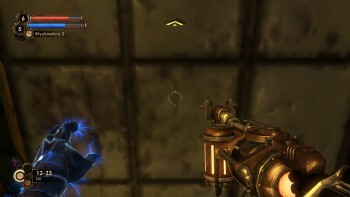 The object in frame tells what the player has at his disposal. The Character’s layer can be treated in an autonomous way – it’s unique and specific. An object in this layer should not only „look good” but also fulfil certain principles. The object and its hands rotate according to the camera rotation (a prop is attached to the camera) which means they are always in the same place in the frame and take up given space. The character’s layer has its own, independent FOV. Thanks to that both the prop and the world of game can be presented in the most attractive way (in an adjusted and independent perspective). Such an assumption can sometimes contribute to strange situations. The problem, however, is not noticeable by a player. The object of weapon was initially placed closer to the middle of the screen, with time it moved towards the right side. Such placing has become the standard one. 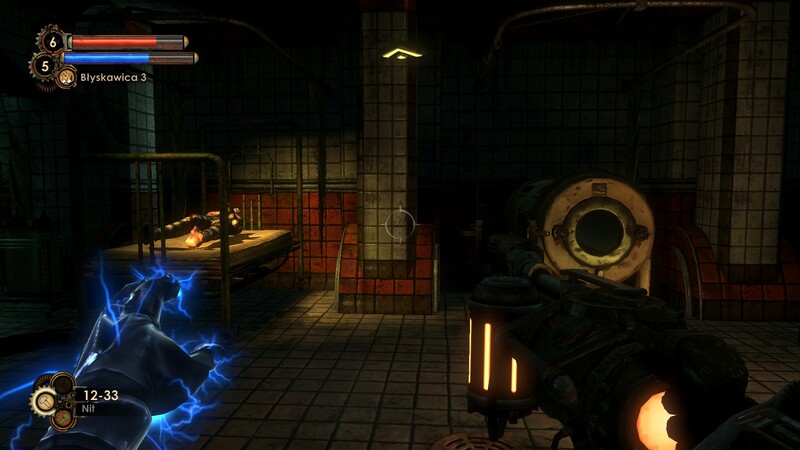 Today it is hard to imagine a FPS with a weapon located on the left. 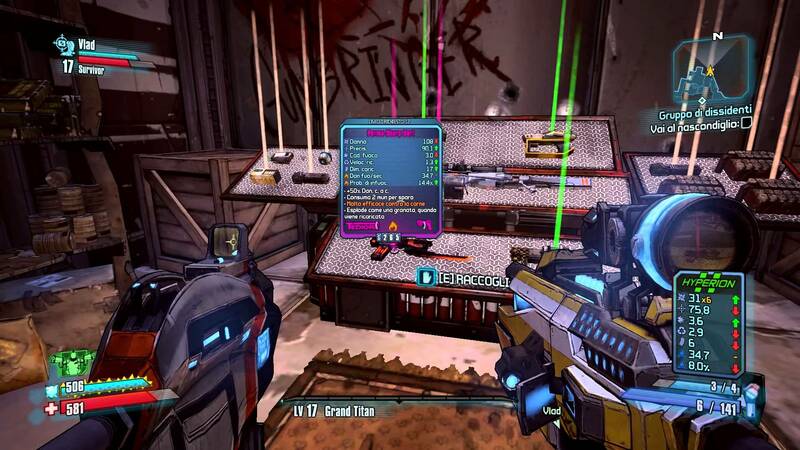 Dual-wield is an exception because on the screen we can see two pieces of weapon, on both sides of the screen. FOV parameter for weapon-layer can range between 35°–50°, but the most common setting values are close to 45°.